Convincing material mix! Ballpoint pen manufactured in Germany with barrel made of recycled cardboard. Pusher and tip from a renewable, compostable bio-plastics based on cellulose. Mechanic cover made of ABS plastic. Wooden clip. 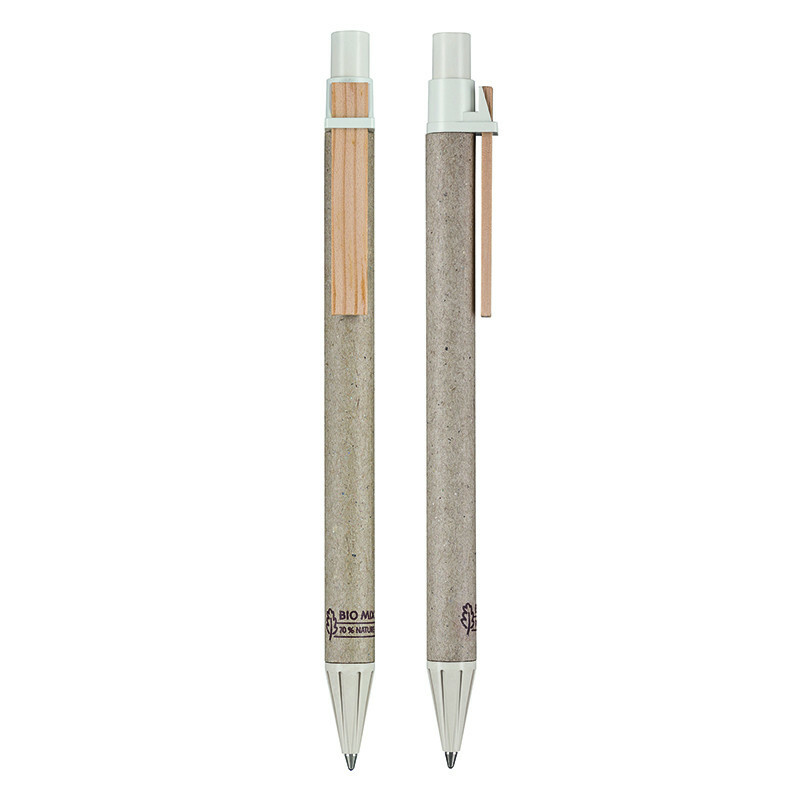 Equipped is this writing instrument with a quality refill Jogger.